Are you looking for expert foreign auto repair for your Audi in the Brandon & Tampa region? Then call Bergman’s European Auto for outstanding auto mechanics and excellent customer service. We know that you don’t want to leave your Audi with just anyone. And we hope that once we earn your trust, you’ll never have to decide where to take your Audi ever again. The Audi brand is one of the premier car manufacturers in the world, and Audi has only become more popular over the years. Like the Audi brand, Bergman’s European Auto in the Brandon & Tampa region has an excellent reputation and is also becoming more popular with each passing year. With our emphasis on quality over quantity in the foreign auto repair business, we have become the go-to shop for Audi owners in the Brandon & Tampa region. Here at Bergman's European Auto in the Brandon & Tampa region, our technicians are ASE-Certified Masters who operate with integrity. We have a 2-year, unlimited mile warranty on the majority of the work we perform. We’re the only shop in town with loaner cars. We also have a drop-off service (reservations required) within a 5-mile radius. We sincerely hope that Bergman’s European Auto’s no-nonsense approach to maintaining your Audi gives you the peace of mind you need. 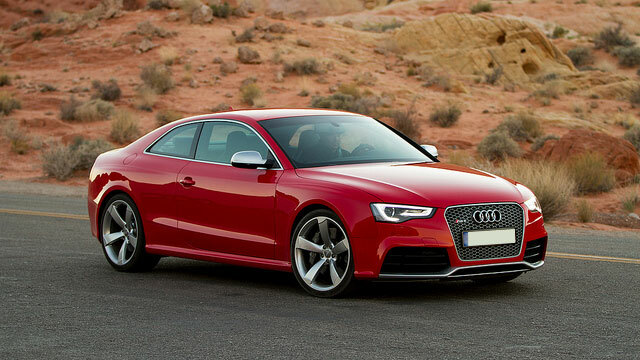 If you need to have your Audi serviced or repaired, please pick up that phone immediately. We want you to experience our ethical and trustworthy auto repair business. And we’d love to have you as a regular customer. We have a focus on fixing the problem right the first time so you can go home satisfied. Our technicians are experts at what they do and committed to honesty and great customer service. Schedule an appointment today, or stop by at 112 Edwards Avenue, Brandon, FL 33510.